Today was a rough day for me. 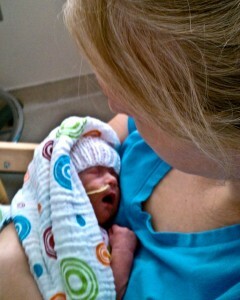 No real end in sight for our nicu stay, or so it feels. Everytime I talk to the doctors we are 2-3 weeks away from discharge. We were 2-3 weeks away, 2 weeks ago also. I love the time with my sweet girl, but I dread the in between time when I can't hold her, and just sit by her bed. I headed back to the family house at the end of the day, and sat down to eat in the common kitchen area. I got to talking to one of my favorite families here, and we started talking about the little blessings. They told me how they feel God has brought blessings to their life through the horror of their 3-yr-old's brain cancer. I know our time here is limited, and there are days I hate the challenges Ruth is facing now, and all the challenges she will face in her life because of spina bifida. But God has brought many little blessings to our life already, before she was even born. Just being in San Francisco and in the medical trial to help her was a blessing in itself. All the friends and family that have rallied around us the last 3 months, to help with our other four daughters, prayers, and messages of support and love. Ruth, the miracle of her life, is the biggest blessing of all.